While it's true that it is called gambling for a reason, there are still certain things that you can do and strategies that you can employ that will help you improve your odds. There are no fast and hard tricks that will let you win every single time, but these tips for roulette, blackjack, and even slots can help you increase your chances. Betting the outside gives you much higher odds of winning. However, the payout is not as high as if you were to bet on a specific number. Another quick tip is to play European roulette rather than American, as it does away with the double zero that reduces the chance of winning. Another tactic that you might want to consider is doubling down. If you lose, double your bet on the next spin. If you lose, double the bet again. When you win, and you will likely win at some point, you will have your money back and then some. If you employ this strategy, make sure you have the money available for playing, as it does come with some risk. 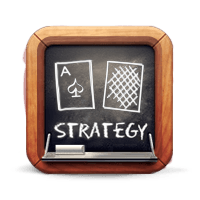 Online and offline strategies for blackjack are actually quite similar. For example, the most common strategies to employ involve knowing when to hit and when to stand. Here are some basic blackjack strategy tips. Slots are often considered the most random type of machine in any casino whether it is online or land-based. However, that does not mean that there aren't a few simple tips and strategies that you can use to help increase the odds of winning and getting a higher payout. First, you want to find a casino that offers a high payout for the slots. A reputable casino with decent payout percentages is essential. However, you also need to check the casino's minimum payout threshold to make sure it is worth your time and effort. Second, consider your playing style. If you are only playing for fun, then you will want to stay away from progressive jackpots, as they usually require a maximum bet in order to win the jackpot. However, they do have the potential to provide larger winnings overall if you plan to place large bets. Third, have a goal in mind and cash out when you hit it. Slots are fun, but you can spend more money than you realize rather quickly. Have a threshold for losing and winning. If you lose a certain amount, stop playing. If you win a certain amount, cash out. Have a plan and stick to it, and slots will not get the better of you. 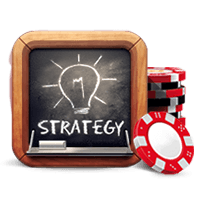 Even though these strategies can help you to improve your chance of winning, there is no guarantee that you will make money every time you play. Realize that luck can be fleeting, but have fun while you are playing.